Reverend Alexis Carter Thomas is a contemplative activist and disciple maker who spends much of her time teaching others about abundant life. Her work encourages people to engage with the disturbing and difficult aspects of faith and society through prayer, reading, reflection and acts of service. While serving a church in South Africa, Alexis sensed a call to serve communities that are both politically and spiritually impoverished. She has committed to live out this call through a variety of ways. Alexis completed her undergraduate studies in Government Pre-Law at Oral Roberts University. She received her Master of Divinity from the Divinity School at Duke University. 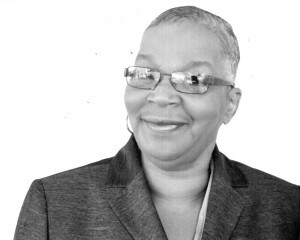 She is ordained clergy and has served in various pastoral roles. Currently, Alexis is devoting much of her time to writing and researching. As a recipient of the Reflective Leadership grant from Leadership Education at Duke Divinity, Alexis is taking a sabbatical from full-time ecclesial work to conduct research on the flourishing of Black clergywomen throughout the United States. This season of pivoting includes traveling, conducting ethnographic research, and doing work that nourishes her soul. 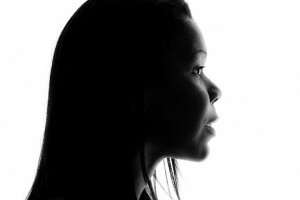 The hope is that through studying the journeys and listening to the voices of others, she might better serve women whose voices and vocations are being devalued and neglected. Alexis is committed to the vision of Gravity and integrates its guiding principles and practices into whatever work and spaces that she finds herself. She loves writing non-fiction, taking long road trips, reading quality literature, and having soul-stirring conversations over coffee or a good meal. Alexis’ hope is that her presence and gifts will be used to do good better. Jayakumar Christian is the National Director of World Vision India. He earned a PhD in Intercultural Studies from Fuller Theological Seminary and Masters degrees in Social Work, Missiology, and Divinity. He is the author of God of the Empty-Handed: Poverty, Power and the Kingdom of God (World Vision International, 1999) and several articles relating to working among people in poverty. Jayakumar is a frequent speaker at international events and serves as an adjunct professor for a number of universities. 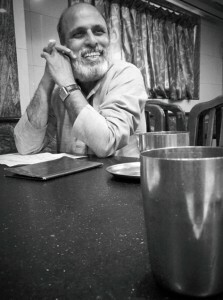 He and his family live in Chennai, India. Patricia Jenkins-Armstrong, one of America’s great civil rights leaders, Patricia was just 17 years old when she trained under Rev. James Lawson in tactical nonviolence. As a college student at Tennessee State University (formerly A&I College), she began participating in Nashville’s sit-ins, stand-ins, and sleep-ins. In May of 1961 the Freedom Riders set out to desegregate the US interstate system by riding buses through the American South in mixed racial groups to challenge local laws that enforced segregation in seating. Patricia was one of the original Freedom Riders. Honored on the Oprah Winfrey show for the 50th anniversary of the Freedom Ride, Patricia has also received honors and acknowledgements from number of historical black colleges and universities (HBCU) including Stetson University’s School of Law, Lane College, and an honorary doctorate in humanities from Jacksonville State University. Emmanuel Katongole, a Catholic priest ordained by the Archdiocese of Kampala, has served as associate professor of theology and world Christianity at Duke University, where he was the founding co-director of the Duke Divinity School’s Center for Reconciliation. Presently Emmanuel serves as the Associate Professor of Theology and Peace Studies at Notre Dame’s Kroc Institute for International Peace Studies. Emmanuel’s research interests focus on politics and violence in Africa, the theology of reconciliation, and Catholicism in the global South. He earned his Ph.D. in philosophy from the Catholic University of Louvain and a diploma in theology and religious studies from Makerere University in Kampala, Uganda. He is the author of books on the Christian social imagination, the crisis of faith following the genocide in Rwanda, and Christian approaches to justice, peace, and reconciliation. His most recent book is The Sacrifice of Africa: A Political Theology for Africa (Eerdmans, 2010). 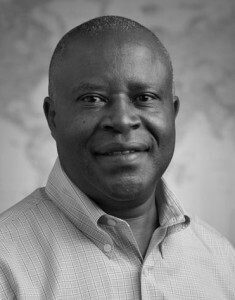 Professor Katongole’s other books include Mirror to the Church: Resurrecting Faith after Genocide in Rwanda (Zondervan, 2009), Reconciling All Things: A Christian Vision for Justice, Peace, and Healing (IVP, 2008), A Future for Africa: Critical Essays in Christian Social Imagination (University of Scranton Press, 2005), African Theology Today (University of Scranton Press, 2002), and Beyond Universal Reason: The Relation Between Religion and Ethics in the Work of Stanley Hauerwas (Notre Dame Press, 2000). The late Fr. 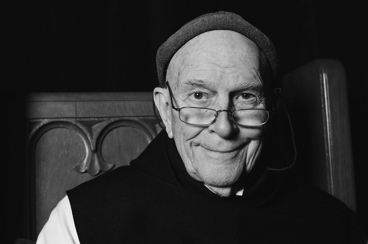 Thomas Keating, founding board member, was a Cistercian monk of the Strict Observance (O.C.S.O.) and one of the principal architects and teachers of centering prayer. He was a founding member and spiritual guide of Contemplative Outreach—a manifestation of his longtime commitment to contribute to the recovery of the contemplative dimension of Christianity. His life was an outpouring of love and service of others. He gave of himself so that others might be liberated into their potential as children of God. Fr. Thomas had a pivotal influence on Chris and Phileena and the subsequent work of Gravity. He served on the Gravity board for one year before serving as an Advisory Council member for five years. Fr. Keating was an internationally renowned theologian and authored many helpful books including, Open Mind, Open Heart; The Human Condition; The Mystery of Christ; Crisis of Faith, Crisis of Love; Active Meditations for Contemplative Prayer and Finding Grace at the Center. For a complete list of Fr. Keating’s publications, please visit Contemplative Outreach.